Soccer is considered by millions of fans as the best sport in the world. Big-time championships draw enthusiasts of the sport by the thousands and some would even argue that the game ranks better in terms of the show and excitement than any other popular sport. However, the game would be nothing without a perfectly-crafted soccer ball. The ball should have all the right features in order to function as a match ball in the game. In this review, we are going to see whether Select’s Royale ball has what it takes to be a tournament ball. The Royale by Select has been given improvements 2 years ago and even though it might be a tad difficult distinguishing some of the changes made in its graphics, there were actually several understated additions on the ball that fans and players did like. The ball still possesses the standard 32-panel design, is hand-stitched and is covered by 1.8 mm polyurethane synthetic leather. According to the company, the balls are softer than the original, have better quality and are nearly weather-resistant. Furthermore, the company does not utilize foam in the manufacture of their balls since the material can interrupt the balance and flight pattern of the balls. Another primary feature of the ball is its hand-stitched characteristics. Hand-sewn ones mean there are concealed seams on it that are rock-solid and durable. The hand-sewn method is actually the top choice among players and enthusiasts alike since exposed ones are more susceptible to wear and tear and thermal bonding can be unreliable at times. In terms of performance, we have noticed that as soon as we play with the ball, that the product is steady and has a superb quality feel to it. The ball performs decently when it comes to long passes and short ones. It also displayed excellent rebound. Juggling and dribbling the ball feels pleasant and it is easy, making the whole thing airborne. Its surface is smooth and quite slick that the ball does not have that tendency to stick to your feet while at play. This one is due to the ball’s excellent structure. It was easy to deal with, even though it was a bit heavy compared to other balls. Regarding its flight pattern, yes, it has a predictable flight; however, the ball might be a challenge to control whenever the player strikes longer shots. Making the ball plunge and arc was tricky, but then you have to spend a bit more time learning how the ball flies. But if we were to choose between a ball that’s a challenge to curve compared to a model that is unpredictable, we will choose the former. 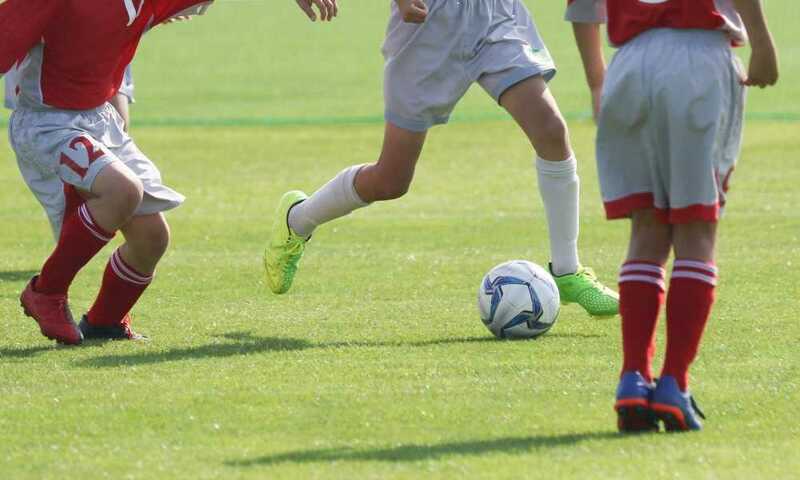 The ball is also approved by the IMS, NCAA and the NFHS, which is a good choice for individuals who want to get into legitimate soccer tourneys. The Royale does have a few setbacks. Its colorways are white, but it succumbs to scratches easily, thus after frequent use you may have a ball that is scuffed quite a lot. Maybe the company can come up with more colors for this product. The ball also displayed some issues containing air. We found out that we need to inflate the ball for at least once every 7 days. 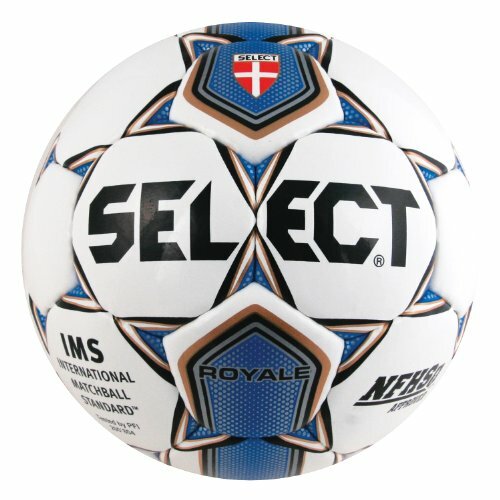 Select Sport America’s Royale model is a high-performance, quality ball that will last for a longer period of time. I would easily suggest this ball to anybody who wants a ball that has consistency and predictability at a price they can afford. This is a product that ranks high when it comes to affordable soccer balls, so it’s excellent value for your money!